Order ‘Spartacus’ (Blu-ray + DVD + Digital Copy), available from Amazon.com by clicking on the DVD cover above! Legendary Hollywood movie star Kirk Douglas will be 92 in December (2008). I’m roughly half his age and from everything I’ve heard about him of late, he’s got twice the energy and drive that I do. 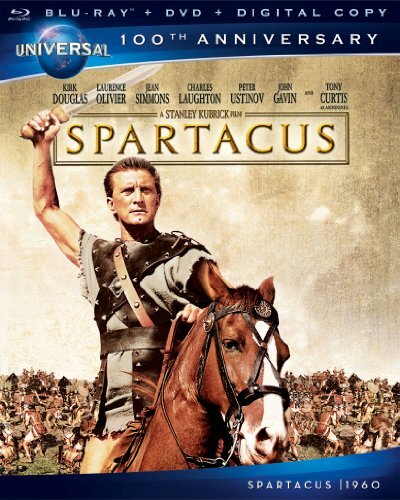 Every generation of the last 60 years can easily point to a favorite Kirk Douglas movie, whether it’s Champion, Paths of Glory, Lust for Life, Spartacus, or Tough Guys. As for me, I’ve always had a fondness for the cartoon silliness of The Villain. 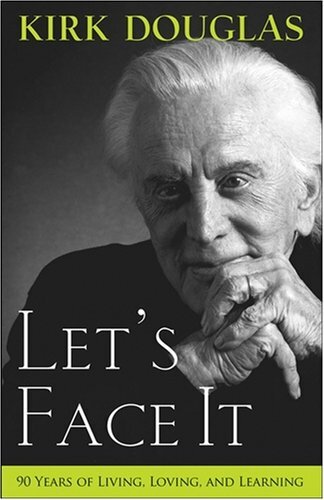 His latest autobiographical book, Let’s Face It: 90 Years of Living, Loving and Learning was just released in paperback. It joins an already crowded bookshelf of memories, including The Ragman’s Son, Climbing the Mountain: My Search for Meaning, and My Stroke of Luck. Great Interview really enjoyed hearing Kirk speak and show his wisdom of 90+ years I laughed, cryed and remembered thanks for sharing.